Concluding its latest edition on yet another rainy late fall afternoon in Bydgoszcz, Plus Camerimage awarded its top prize, the Golden Frog, to War Witch, the celebrated story of a sub-Saharan female child-soldier. The film, also a prize winner at Berlin and Tribeca, beat out a list of fest circuit heavyweights such as The Master, Cloud Atlas, Beasts of the Southern Wild, Argo, Laurence Always, Hyde Park on Hudson and Holy Motors, which won the runner up Silver Frog from Joel Schumacher’s main competition jury. Fifteen prizes were handed out at the closing ceremony at Bydgoszcz’s Opera Nova, a 56-year-old modernist opera house which also played host to most of the 314 films showcased at this year’s weeklong event. The 20th edition of this International Film Festival of the Art of Cinematography, which awards its prizes based mainly on the merit of the work of d.p.s, began last Saturday with Keanu Reeves’ fascinating documentary Side by Side and the Ang Lee-directed, Claudio Miranda-lensed 3D adaptation of Yann Martel’s Life of Pi. Both Reeves and Miranda were in attendance for the fest. The eclectic lineup of guests included a who’s who list of famous and infamous d.p.s, along with David Lynch, Mike Figgis, Albert Hughes, Alan Parker, Roger Spottiswoode and Gus Van Sant, who was on hand to accept the Festival’s Director Duo Award on behalf of himself and his late friend, Harris Savides, a true legend in these environs. The unusual festival format, focusing as it does on the aesthetic and technical aspects of cinema, is a strange but refreshing alternative to the traditional festivals model. Dominated by students, it is often difficult to find one’s way into the extremely well-attended screenings, many of which were followed by Q&As by unusually informed and enthusiastic audiences. This is a truly cinephile-friendly event. While its main competition takes center stage, Plus Camerimage houses competitions for Polish, Student and Documentary Films, as well as Feature Debuts and Music Videos. The latest production and postproduction technologies dominate the landscape within and outside of the Opera Nova, where companies like Plus, Arri, Panavision, Kodak, Hawk, K5600, J.L. Fisher, Sony, Panasonic, KinoFlo, Technicolor and Zeiss have booths set up with day long presentations of their newest gear. 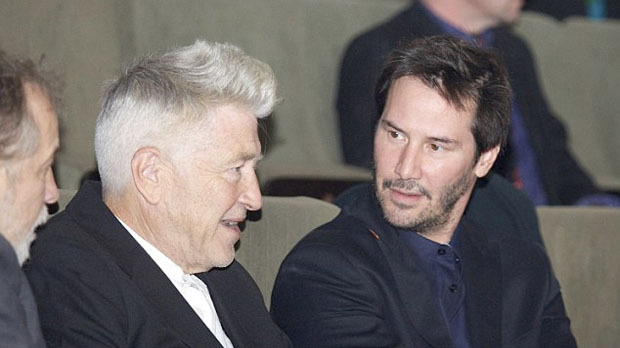 Perhaps the most in demand and lauded events were the masterclasses, where the likes of Christopher Doyle (who revealed that his most emotional collaboration was with Justin Timberlake on a music video) and Lynch (who confided that the ABC executive who rejected the pilot for Mulholland Drive had watched it at 6am on a small television while on the phone) held their audiences spellbound. The most original and innovative film that opens the gate to the future. Christoph Brunner and Stefan Brunner directors, Robert Oberrainer, cinematographer. Institut fur Film und Fersehen Filmakadmie Wien, Austria and Switzerland. Brave, bold story, told with cinematographic teamwork. Lauri Randla, director, Mikko Kaumunen, cinematographer. University of Art and Design, Finland. A gentle, beautifully told story, made with sensibility and maturity. Magnus von Horn, director & Magnus Borge, cinematographer. PWSFTiT, ?ód?, Poland. For having the confidence to trust the audience and to tell a story of unflinching honesty with the simplicity and grace of an artist, the Directors’ Debuts Competition Award goes to Miguel Angel Jimenez for the film CHAIKA. The Golden Frog Award goes to CHAIKA. This film deserves the award for the best cinematographer’s debut, because it dares to fulfill the dream of cinema on the big canvas that takes your breath away with beautifully composed vistas in which an intimate human drama unfolds. The Jury awards the Golden Frog – Grand Prix to Lorenzo Castore and Adam Cohen for their originality, fearlessness and disturbing weirdness in: NO PEACE WITHOUT WAR. The Jury awards the Special Mention to Jacek B?awut and Pawe? Chorz?pa for a film that captured the madness, mystery and paranoia of art in: THE LONELINESS OF SOUND. The Jury awards the Golden Frog – Grand Prix to the Cinematographer Seung-Jun Yi and Director Seung-Jun Yi for the sensitive camera work and intimate approach to the subject in: PLANET OF SNAIL. This emotionally compelling film, open to complex interpretations along with outstanding performances and craftsmanship, makes the Jury’s choice for the Best Polish Film at Plus Camerimage 2012: TO KILL A BEAVER.